Integrate the shipping and tracking features of our website into your system with a robust suite of tools. 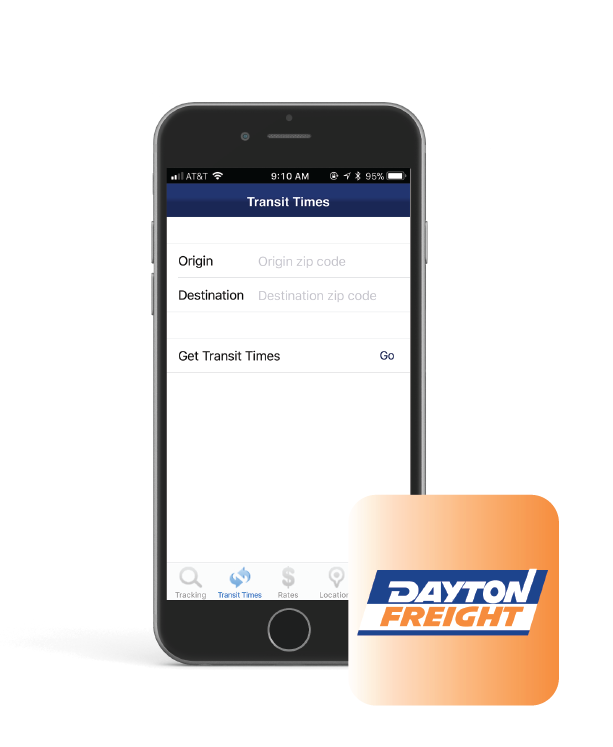 From transit data files and traditional EDI to web services, you can choose how integration with Dayton Freight helps you track and keep shipments moving smoothly. Import transit information into your system by using the transit data files found at the link below, given in four configurations: Instruction File (PDF), Zip Code Listing file (text/csv), Service Center Transit Matrix file (text/csv), and Service Center Information file (text/csv). Contact customerservice@daytonfreight.com if these configurations do not suit your needs. A suite of web services will allow you to integrate and utilize nearly all functions available on our website in your applications/systems. All services require the use of login credentials. Before you can use our web services you will need to activate Web Services for your account. From the My Accounts page, select “Update Web Account Information,” select “Yes” for Enable Web Services and enter contact information. Click Here to view our Web Services/Rest API documentations. DFLMobile App... Info On The Go!